robin%2Bperini » Do Our Memories Make Us Who We Are? Now she no longer speaks except to say my Dad’s name. Her gaze follows him around the room, and once in a while she’ll smile for him. I get a smile less often, but she does cling to me when I hold her in my arms while we are watching television. Then there are the times where she stares at us as if she’s scared and confused…and I hurt for her. It’s been very difficult to watch her personality change and then fade away. My mother, who never met a stranger, who, during my first book signing, strode through the book store with no fear and convinced customers to give my very first book a try, who stopped a woman in the mall to get the name of a hairdresser because she liked the cut so much first became passive and uncertain and then eventually stopped communicating. I miss her every day. Last week I caressed her hair and wondered what was going on in her mind. No one really knows what someone with Alzheimer’s Disease or dementia thinks, if they do. I know many of her brain cells have died. I know most of the neurotransmitters that carried memories and thoughts no longer lay down pathways or communicate. I had a horrifying thought. 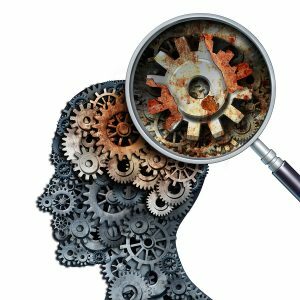 Once Alzheimer’s or dementia has stolen the memories, who is my Mom? Is she still her? Or is it my memories and my family’s memories that now give her an identity. It’s a terrifying idea. Is that what Mom faces? What if it happens to me? Will I just disappear into a forever fading sea of neurotransmitters? So, what can we do about it? Well, there’s nothing we can do to prevent Alzheimer’s Disease. The best advice I know is to try to be as healthy as possible. What’s good for the heart is good for the brain, but it’s no guarantee. There is one thing I can suggest, though. A couple of years ago, I tried to start a challenge, called the #1 Memory Challenge. It didn’t really go anywhere, but I hope the idea can still inspire, because to me, it’s so very important. What’s 1 memory that you would share with your family … that you don’t want lost through time or illness or injury? Really consider the question. It might be a small moment of joy or gargantuan accomplishment. It might be a tragedy or a triumph. It might be the moment in which I read a letter from my great aunt that made me believe I could be a writer. My advice: don’t wait to share your memories. My dad has already made several videos for his grandchildren. I’ve made a few as well. I do it because there are so many questions I wish I could ask my Mom. So many conversations that I wish we could have, but we can’t. 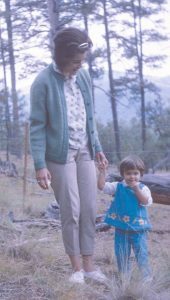 So, I do the next best thing: I ask my Dad, my brother, her siblings and friends… but there are things only my mom knew; special moments that made her into the amazing person she was. And they are lost for me, for my family, for her grandchildren. What I can share is that my mom is the strongest, toughest, most stubborn and most disciplined person I ever met. She loved her family with passion and unconditional ferocity; even now something inside her exudes a will to live and a strength that awes me. I would give anything to be able to know more, to understand more, to share more with her. Don’t let the memories fade away. Because we ARE our memories. Preserve them. Share them. Keep them alive. 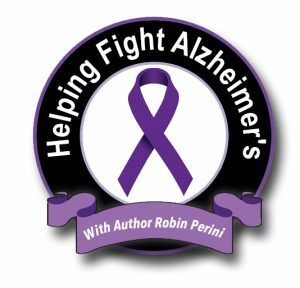 For more information on Robin’s Alzheimer’s awareness and fundraising campaign – check out these links. 1) Record a memory and post it on social media. On the outskirts of Singing River, Wyoming, a couple dies in a fire that ravages their remote mountain home. Everyone believes it’s a tragic accident—except FBI profiler Riley Lambert. She isn’t convinced, and neither is her fiancé, ex-Navy SEAL turned sheriff Thayne Blackwood. When they discover that the couple’s daughter is missing, Riley’s dark memories of her own sister’s kidnapping ratchet up the urgency to find the girl—before it’s too late. Racing through a maze of deceit and a buried past, the pair find themselves under attack from an unknown assailant. 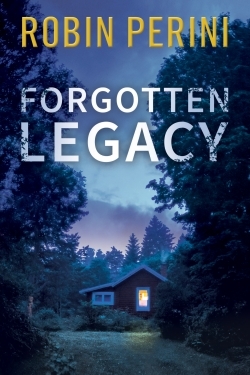 Dodging danger, they follow a tangled web of clues pointing to a forgotten secret that Thayne’s Alzheimer’s-stricken grandmother holds dear. But when their deadly investigation veers too close to home and brings a twisted killer to Riley’s and Thayne’s doorsteps, can they save those they love and stop the murderer before time runs out? 10% of the royalties the author receives goes to the Alzheimer’s Association! Paperbacks available wherever books are sold!